As a leader in the design, development and manufacturing of innovative lighting and electronic products for a range of vehicles and industrial applications, Hamsar is a supplier of choice for special OEM and automotive aftermarket uses as well as a host of industrial applications. Hamsar has released a spot-beam companion 71078 to its acclaimed 71076 flood-beam LED headlight, part of the Hamsar LED projector headlight product line. The new 71078 light, providing spot-beam operation in the 165 mm/6.5 inch size category, provides all the benefits of its flood-beam companion, including brighter, whiter light than halogen units and exceptionally low power consumption. Also, with an estimated service life of 20,000+ hours, the spot beam LED headlight can be expected to last more than ten times longer than a similar halogen light. "The spot-beam light adopts similar design, construction and performance features to the flood-beam model," said Hamsar president Fred Kelly, "which underwent rigorous testing in a real-world situation." A pair of flood-beam LED lights units were installed on a municipal bus in mid-January, travelling more than 23,000 kilometres/14,000+ miles to date through rough winter weather into one of the hottest summers on record without a problem. "We’re confident that the new spot-beam model will match this performance as a high-beam unit." Rick Baltzer, Maintenance Project Coordinator of Burlington (Ontario) Transit, confirmed Kellys assessment of the relevant test. " Based on seasonal conditions we would normally replace the forward lights on these buses from as few as every two weeks to every couple of months,” Baltzer said. "Having a lamp last a minimum of six months in operation without a problem represents a major breakthrough. Besides, we found no stone chip marks or scratches on the units, and no moisture or condensation. The lights achieved a sharp beam pattern as promised, and we’re looking forward to installing them on other buses." 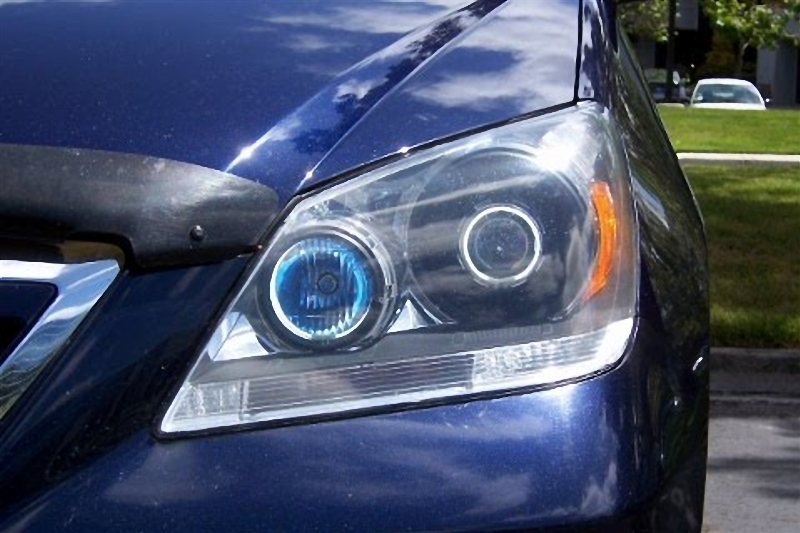 Baltzer added that he saw no reason why the new spot-beam LED headlight shouldnt perform equally as well. Hamsar expects a good deal of interest in the new spot-beam LED headlight from commercial vehicle operators including municipal and long-distance bus companies, heavy-duty truck fleet operators, and agricultural manufacturers. The primary benefit for fleet operators will be the extended service life, requiring a low inventory of replacement units, and the low current draw, which helps reduce fuel consumption. "Like our other LED lights models, this will be a welcomed retrofit aftermarket kit," Kelly said. "Weve engineered all the models in this series for easy installation, including the combination of spot and flood-beam lamps, a drop-in replacement for 178 mm/7 inch halogen systems."